Flared denim has risen—both literally and figuratively. It's no coincidence that many of our favorite new releases from denim brands are both flared and cropped. A throwback Jane Birkin–esque style, cropped flare jeans come with a variety of benefits, showing off your shoes with ease and figure-flattering capabilities among them. Beloved by stylish It girls such as Alexa Chung and Jeanne Damas and fully embraced by street style stars, this denim trend has officially hit the mainstream, proof that it's going to be around for a while. In fact, we'd even call it a classic at this point. To see how to pull cropped flare jeans off successfully (don't worry, it's easy), keep scrolling for our tips, outfit inspiration, and the best styles on the market to shop. 2. A frayed hem is the most polished form of distressing. 3. When in doubt, wear block-heeled shoes with cropped flare jeans. 4. Tuck your shirt in to show off a figure-flattering high-waist style. 5. An ultra-wide flare looks best with heels. 6. 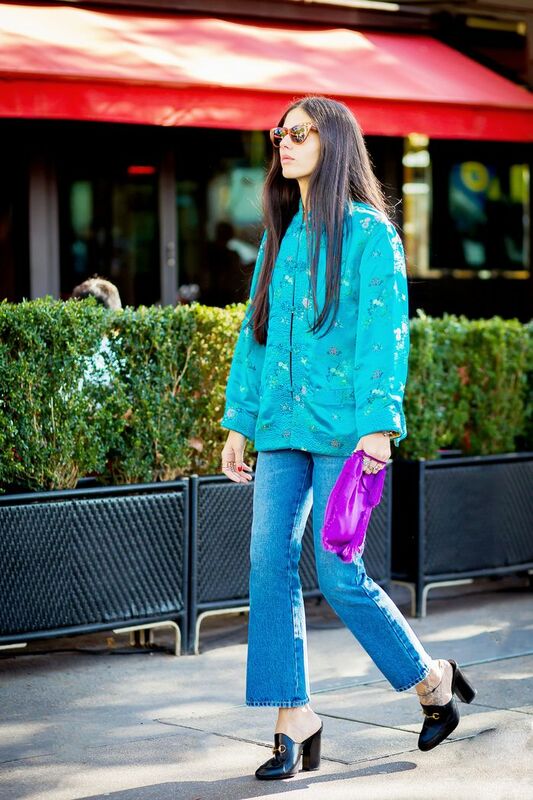 Cropped flare jeans, a statement top, and mules are an easy, forward combination. 7. For the most flattering look, go with black cropped flares. This pair checks all the boxes. Perfect for the vintage lover. The reviews for these are excellent. The subtle embroidery on these is so pretty. J Brand cropped flares are always flattering. Here's yet another Reformation piece to add to your cart. Available in sizes 22 to 32. If you can wear jeans to work, wear these jeans to work. Heads up: These have great reviews. This under-$100 pair makes legs look a mile long. We found your new weekend jeans.